Home > Corporation Tax > What is Corporation Tax? Corporation tax is a form of direct taxation (that is a tax paid directly by the party from whom it is due to the government) that is levied on corporate profits. Not all companies necessarily pay corporation tax. Rather, the tax is due on profits made by limited companies and some associations. These include members’ clubs, trade and housing associations, and any other groups of individuals that act as if they are a company rather than a partnership. Crucially, it is not paid by the self-employed. Corporation tax was not established until 1965. Prior to this, companies paid tax in roughly the same way as individuals, although they were also subject to an extra ‘tax on profits’. Today, however, corporation tax is defined and governed by the Income and Corporation Taxes Act (1988), which sets out the way in which the tax is levied. The Act can be viewed in full, with supporting notes, on the HMRC website. Corporation tax is currently levied at two separate rates. The standard rate is set at 21% (for the 2014-15 tax year), but this applies only to organisations with annual profits that total more than £1,500,000. For organisations with profits falling below £300,000 annually, however, corporation tax will be charged at a Small Companies’ Rate of 20%. From April 1st 2015 there will be only one rate of corporation tax, set at 20%. The existence of corporation tax also means that organisations assume certain related responsibilities. Primarily, an organisation that falls under the corporation tax remit (that is, a limited company or an incorporated association) must first inform HM Revenue & Customs (HMRC) of its existence, and then ensure that it also informs them of their corporation tax liability. This involves keeping detailed records of any expenses incurred by your business, such as receipts, as well as details of any sales if yours is a trading company. 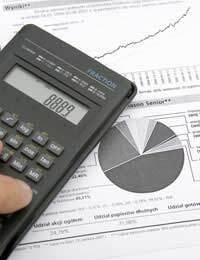 An organisation’s liability must be calculated for each ‘accounting period’. This describes the way in which time is divided for corporation tax purposes, and for most organisations is a 12-month period running concurrent to the tax year (1st April to 31st March). It is sometimes possible, however, to receive dispensation from HMRC to operate shorter accounting periods if this is more sensible. It should be noted, however, that an accounting period may never be longer than 12 months. Corporation tax is only chargeable on adjusted profits for each accounting period. In order to arrive at the figure on which a charge will be levied, also known as ‘profits chargeable to corporation tax’ or PCTCT, a number of ‘allowable expenses’ must be subtracted from the company’s total income for the period. In order to qualify as an Allowable Expense, a cost must have been incurred ‘wholly and exclusively’ for business purposes. It should also be remembered that the PCTCT must include any net chargeable capital gains that might have been accrued over the accounting period. For more information on corporation tax, read the articles Cutting Your Corporation Tax Liability Through Bonuses and Cutting Your Corporation Tax Liability Through Expenses on this site.